Innovative modeling and mold engineering materials as well as composites design, engineering, and manufacturing capabilities are the focus of the international RAMPF Group’s presentation at CAMX 2018 from October 16 - 18 in Dallas, TX – Booth Q29. RAMPF Group, Inc. is a leading developer and manufacturer of customized tooling solutions for cost-effective and high-quality model, mold, and tool construction for the automotive, marine, and aviation industries. The company’s portfolio includes styling, modeling, and working board materials; Close Contour Pastes, Close Contour Casting, and Close Contour Blocks; and liquid systems for the composites industry that cover a wide variety of production processes and a broad range of temperatures. Close Contour Castings are supplied as a three dimensional shape that is already a close contour of the final part. There is no bonding or cutting of boards, and manufacturing is cost effective due to the close contour of the part (less milling, less waste). The dense polyurethane systems exhibit good heat and chemical resistance, and the homogenous and seamless surface is easy to polish. Close Contour Pastes are applied to a close contour shape supporting structure, cured, and then machined according to the CAD data of the customer. The application process is quick and easy as most pastes are machine applied and virtually any material can be used as a supporting structure. RAMPF also offers a close contour paste application service. RAKU® TOOL Close Contour Pastes have a very fine, homogeneous, and seamless surface that is easy to machine with low dust formation. The two-component epoxy systems exhibit high surface hardness and low CTE, and are especially suited for the production of large models or molds (e.g. master models, check fixtures, infusion tooling, prepreg tooling). At CAMX 2018, RAMPF is presenting RAKU® TOOL Close Contour Casting CC-6503/CB-6503, which was used for the production of vacuum trim fixtures for isometric aircraft parts. 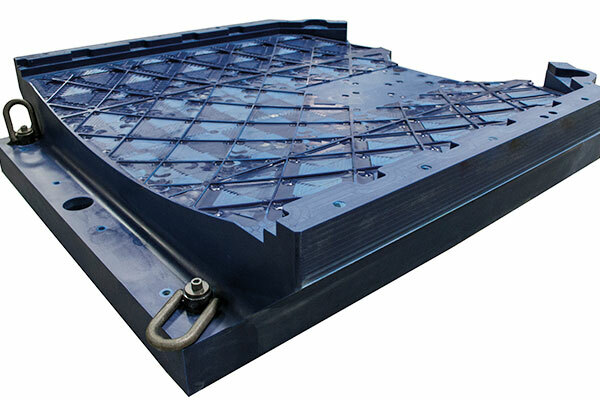 Working boards from RAMPF combine the ultimate in quality with outstanding mechanical properties. The semi-finished products (prefabricated, rectangular boards) can be bonded in various shapes and sizes. The epoxy or polyurethane systems boast excellent dimensional stability and enable quick and easy machining. Applications include metal forming, hammer forms, foundry patterns, molds, checking fixtures, jigs, and lay-up tools. At CAMX, RAMPF is presenting its high-tech board RAKU® TOOL WB-0691 (see above picture). The epoxy system with a HDT 110 ºC is especially suited for prepreg lay-up tools for low temperature prepregs, vacuum forming molds, and medium temperature applications in the aerospace, racing, marine, sports, and medical technology industries. 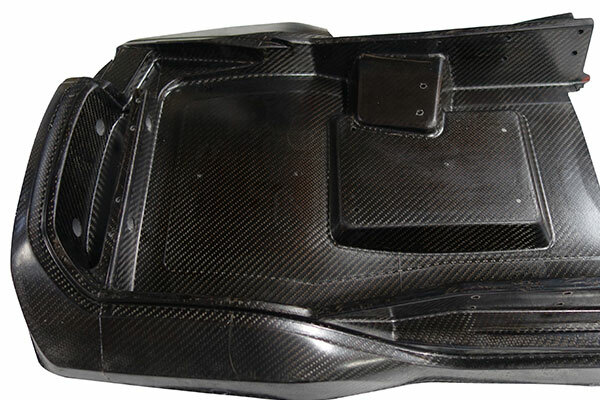 RAMPF Composite Solutions is a complete solution provider of innovative carbon fiber and fiberglass composites for the aerospace and medical industries based in Burlington, Ontario, Canada. At CAMX 2018, the company will showcase its capabilities in engineering, structural analysis, and manufacturing to optimize the balance of weight, stiffness, vibration, materials, cost, environment, flammability, toxicity, schedule, and manufacturability of cutting-edge composite parts and assemblies. A highlight at the RAMPF booth – FST resin infusion systems, which are used to manufacture secondary structures in passenger aircraft (e.g. interior parts, doors, cabins, and evacuation system components) and for seat covers and components in business jets. RAMPF will also be featuring its range of highly toughened and low-viscosity infusion systems with high Tg. Extremely light, extremely stable: This seat backrest for a business jet was made by RAMPF using VARTM (vacuum-assisted resin transfer molding) and the FST resin infusion system RAKU® FST 5501. The component combines a sandwich structure (carbon-fiber layer/foam core/carbon-fiber layers) and monolithic laminate (carbon fiber).